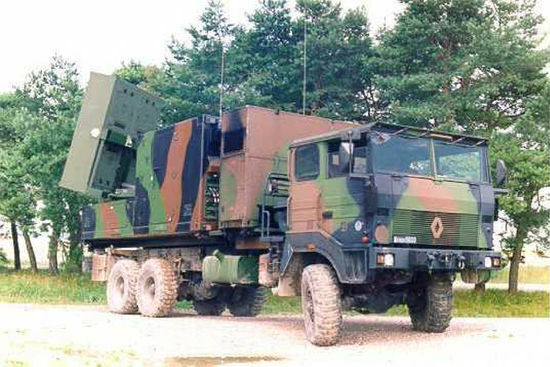 COBRA (COunter Battery RAdar) is a cooperative long-range battlefield radar programme between Germany and France. 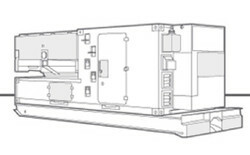 COBRA radar systems are in service since 2005 and deliveries were completed in 2007. A common support in the In-Service phase has been implemented. The OCCAR-EA COBRA Programme Division manages the In-Service Support Phase. 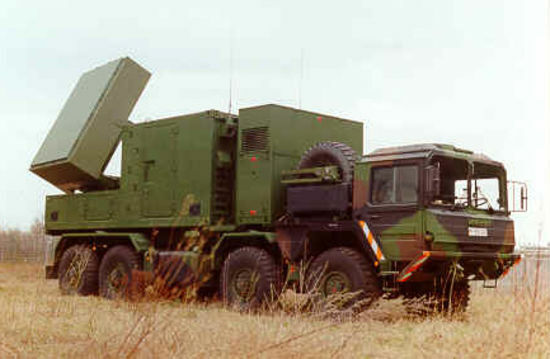 COBRA is considered to be the world's most advanced land based weapon locating system, comprising a high performance radar, advanced processing and an integrated, flexible command, control and communication system. The design includes state-of-the-art digital processing and an advanced active, solid-state phased array antenna comprising several thousand transmit/receive modules. The COBRA mission is to locate mortars, rocket launchers and artillery batteries and to provide information for countering their effectiveness. With a detection range of 40 km and a coverage of 1,600 km2 COBRA is capable of locating and classifying up to 40 batteries in two minutes. It will also be able to monitor breaches of cease-fire when deployed in a peace-keeping role. Single cross-country vehicle chosen by User. No levelling or stabilisation jacks required. Integrated Artillery C3 equipment – automatic reports to higher command. COBRA INU error is less than 10 metres in 20 kilometres. INU also provides antenna attitude information. Detection Coverage is 90 Degrees out to >40 kilometres, corresponding to 1200 Km2. Controlled air temperature with available gas, chemical and particle filtration (NBC). From 10 to 12 October 2017, the French MoD/DGA and the French Army/STAT conducted a Live Firing Trial for testing a prototype version of the next COBRA (Data) System Software Version V23 to be delivered end of 2018. The first 6 years of COBRA In-Service Support (ISS) were performed by the Original Equipment Manufacturer’s Industry Consortium. Following a competition in 2012, the COBRA ISS contract was newly awarded to ESG GmbH. In the course of the technical certification for a new German protected carrier vehicle for the COBRA system, the OCCAR COBRA Programme Division is currently supporting the approval process of dynamic driving characteristic tests at the German Technical Center for Land Systems (WTD41) in Trier. For further information about the COBRA Programme, please contact the Programme Division or the Prime Contractor.